How much time do you spend doing arts and crafts with your little ones? Introducing art to children at a young age has a host of benefits and you needn’t have what you may consider to be artistic talent yourself in order for them to reap the rewards. If you spent more time at school tidying the art cupboard than creating masterpieces that were fridge worthy, don’t worry! 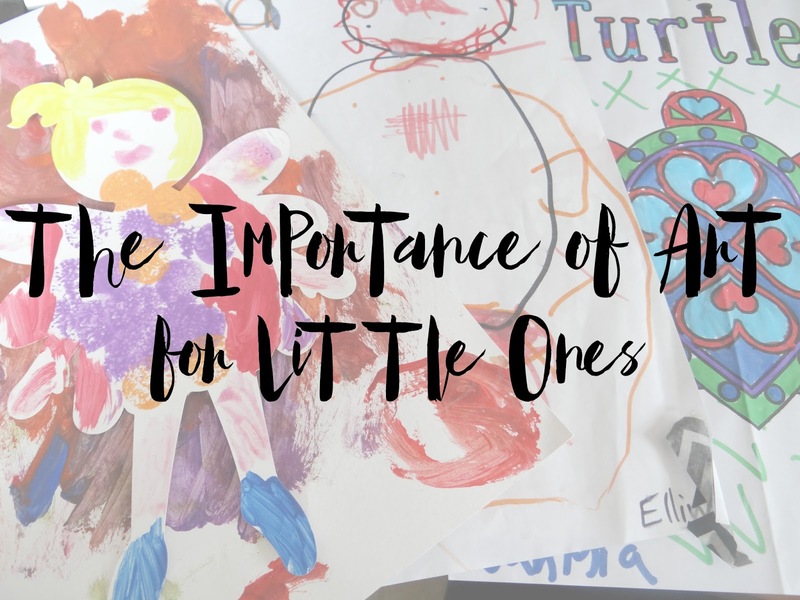 This post will outline some of the reasons you may want to add art to your kid’s agenda along with ways to accommodate it in your home. Why is art important for kids? As a form of expression, art opens up new ways for children to communicate, which can be particularly useful when exploring difficult topics. The development of basic art skills can help build confidence, improve motor skills, colour recognition and language and teach children about discussing ideas and taking feedback on activities they carry out. Because art is a process that often has an output it encourages creativity in children and can also aid planning abilities and teach responsibility. As children progress with art projects they may need to consider what their next steps will be or to take responsibility for collecting appropriate materials and cleaning up after an art session. This encourages self-reliance and can also give them the satisfaction or managing a project as well as seeing the outcome of their work. Finally, while you may prefer to spend time gently encouraging your child and focussing on their activities rather than getting stuck into the doing part yourself, art sessions can provide opportunities for parents and children to bond. And, with a little careful planning and ingenuity they needn’t be expensive. You can find all sorts of journal studies showing the science behind these benefits in this helpful list from Earlyarts. Having a dedicated space for art in the home should stop your furniture, fixtures and furnishings from getting too messy, though it’s no actual guarantee you’ll keep your wallpaper safe from toddlers with crayons. If you aren’t lucky enough to have a dedicated playroom you could protect the dining or kitchen room table with an inexpensive PVC tablecloth from simplytablecloths.co.uk or purchase a lower level plastic table for smaller tots to work at. Working in the kitchen has the advantage of being close to a sink for cleaning up though if you do have a playroom to work in you might consider a low level sink to encourage kids to get involved in the clean up. Having natural light to work with while painting is a real luxury, so if you’re looking to open up a space for artistic use, secure a good spot by a window. Even better, fit some external bi-fold doors that look out onto your garden and you’ll be able to take inspiration from nature as you work. These from Vufold come in aluminium and wooden designs, which means there are options for modern and more traditionally styled homes. Another must for fuss-free clearing is plenty of storage for your art utensils – this could be in the form of stackable boxes or a shelving unit. If you opt for the former there’s an advantage to using clear plastic boxes or boxes without lids as little helpers often seem more enthusiastic about putting things away when it’s clear where they ought to go. It’s really easy to pick up art utensils in supermarkets these days and it’s always a good idea to loiter in the sale section in places like Hobbycraft to pick up more interesting materials at affordable prices. You can often find interesting upcycling projects in local charity shops too. If your child is particularly interested in experimenting with new mediums such as clay, relatives are often very enthusiastic about providing materials as birthday and Christmas presents. While many consider art to be a personal pursuit it can actually be very socially stimulating. Could you host a regular art club with a group of other parents to help your children learn about working on projects together? Many museums and art galleries in the UK offer free admission for children, so take opportunities where you can to look at artist’s work and take the discussion and inspiration back to your art area at home. Promoting creative group work and cultural interaction in this way can help children learn important problem solving and evaluation skills that will help them for years to come.